Mary Beth Donahue, a longtime executive vice president, recently announced her plans to leave, along with Dan Durham, the recent interim CEO of the group. As long as Bernie Sanders isn’t elected president, it’s unlikely that health insurers will ever not be one of the most influential business interests on Capitol Hill. But there appear to be indications that the insurance lobby is fragmenting, though it’s far from certain whether that means it is becoming weaker. The greatest blow to AHIP likely came earlier this year, when UnitedHealth, the nation’s largest insurer, announced it was leaving the organization, saying that the trade group’s strategy did not fit with UnitedHealth’s “diversified portfolio” of interests. The most recent news is the departure of two top officials from American Health Insurance Plans, the formidable insurance lobby group. The Hill reports that Mary Beth Donahue, a longtime executive vice president, recently announced her plans to leave, along with Dan Durham, the recent interim CEO of the group. Donahue formerly worked as chief-of-staff to President Bill Clinton’s Secretary of Health and Human Services, Donna Shalala. Many other top AHIP officials got their start in politics, often working for left-of-center groups or politicians regarded as hostile to the insurance industry. Former AHIP CEO Karen Ignagni, who stepped down after two decades at the group earlier this year, got her start working with the AFL-CIO and a Democratic congressman. 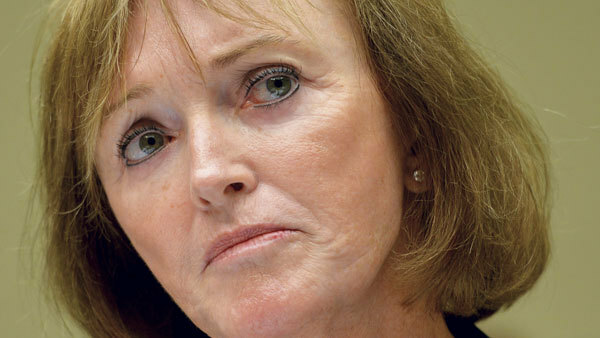 She was replaced by Marilyn Tavenner, who headed the Centers for Medicare and Medicaid Services under President Obama. AHIP paradoxically played a crucial role in both crafting the Patient Protection and Affordable Care Act and the campaign to derail it. Although its officials publicly supported the law and lobbied to make the bill as amenable to the insurance industry as possible, it also funneled $86 million to the U.S. Chamber of Commerce, which aggressively campaigned to undermine the law and unseat elected officials (including the president) who had supported it.